If the Ferry brings three full loads to a Rays game that's 300 people or about 2.2% of the average attendance. 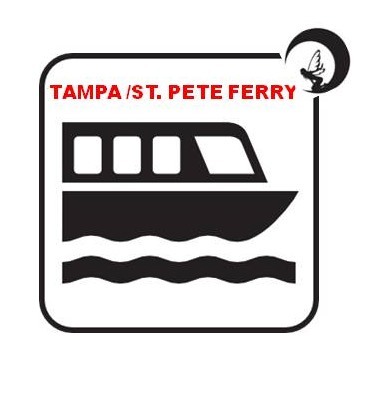 While south St. Pete struggles with just about every conceivable problem a community could have the Kriseman administration is in a head long rush to get a pilot project for a ferry from downtown Tampa to downtown St. Pete. Part of the hype from the Mayor's office is what a boon the Ferry will be for attendance at the Rays Games. If the Ferry brings three full loads to a Rays game that's 300 people. Assuming an average attendance of 13,500, that is a total impact of about 2.2% per game. Why not ask the Rays for a couple of hundred thousand dollars to test the effort, so we can get an idea of how they feel about the concept. The trip from Tampa to St. Pete is just over 20 miles. Estimates the Ferry trip would take a little over an hour is probably low. If you add boarding and unloading, it is more like 1.5 hours. Round Trip for first group of 100 would be about 6 hours and 30 minutes. If you are in the second group of 100, you have to wait for 2 plus hours for the Ferry to return from Tampa for your trip, and if you are in the third group 2 or more hours more for your ride to Tampa. Assuming the game is over at 9:30PM the total commute and wait time of the third group could be over 10 hours. Most practical would be an inter modal approach with a Ferry ride to the game and busses to take everyone back to their cars in Tampa when the game is over. Throw in the fact that Tampa Bay can get rough in a hurry, sea fog, foul weather and night time commercial traffic in the ship channel and the Ferry is interesting to say the least. Similar scenarios can be developed for casual daytime tourist Ferry riders and people who would use the Ferry to commute to work. Keeping the Ferry full of paying customers will be a challenge. The City must be careful to avoid a per seat subsidy or some other costly financial arrangement. The Ferry operator should bear the risk. The Kriseman administration is more interested in the hype and PR potential than they are providing transportation services. It's one thing to have 66 passenger buses running around the County with three people on them. It is a totally different thing to be supporting a 100 passenger Ferry and associated costs with few passengers, so we can have some pretty brochures for the Chamber of Commerce and the Economic Development people to hand out. Buckhorn is right. Everyone should take a serious look at the numbers and let's make sure that the taxpayers are not subsidizing the Ferry operator to store his boat in a nice warm place.